Friday marks the 14th anniversary of September 11, the day in 2001 when thousands of Americans lost their lives in terrorist attacks on the World Trade Center in New York City, the Pentagon in Virginia, and United Airlines Flight 93, which crashed in rural Pennsylvania. 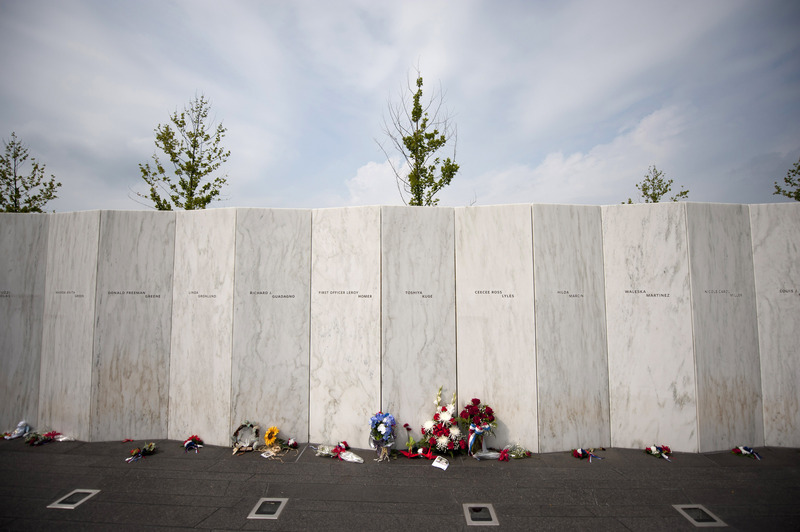 On Thursday, the National Park Service opened the Flight 93 National Memorial in Shanksville, Pennsylvania, one day ahead of the 9/11 anniversary. There are already memorials for those who died at the Pentagon on 9/11, and of course, the first 9/11 memorial, which opened at Ground Zero in New York City in 2011. The Flight 93 National Memorial is the newest national commemoration for the victims of 9/11, and is now open for the public to visit, learn, and mourn the lives lost in 2001. Construction for the memorial began, which was designed by Paul Murdoch Architects, began in 2009. It contains oral histories of more than 750 people connected to the flight, and also has recordings of the passengers themselves when they became aware that the plane was going to crash. The memorial also includes a wall of names listing all the passengers and crew who lost their lives on the flight, and a memorial plaza marking the precise location of the crash. Leading up to the site of the crash itself is a walkway built in the direction of the path the plane was taking before impact. The visitor center at the memorial hosts exhibits detailing the lives of the passengers and crew of Flight 93, and has recreations of the interior of the plane on display. There is also a classroom at the memorial, and overall, there is an emphasis on education for adults as well as young students. The National Park Services notes on the memorial's website that "children may struggle to understand what happened on September 11, 2001, especially since adults also struggle to understand the events of that day." To that end, the memorial will provide educational materials and programming to help explain the events of 9/11 to the next generation. Looking towards Friday's anniversary of the attacks, the memorial center is holding observances on Thursday and Friday. The observance on Friday, September 11 will include a dedication of the memorial site, and will be free and open to the public.